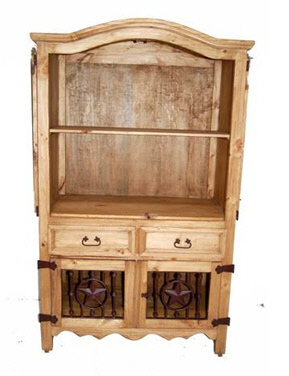 Harken back to the days when armoires were armoires -- and had wrought iron bars to hide the loot! 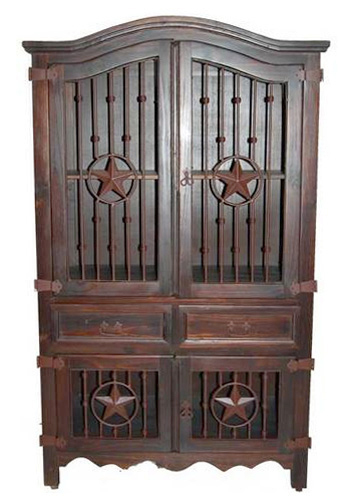 Here it is, for your valuables only, a serious armoire -- the real McCoy. 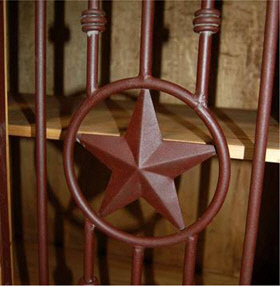 Great wrought iron accents bring back memories of the old west. 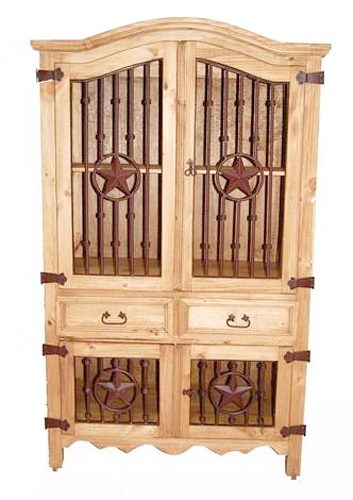 Perfect for your living room, dining room or office; a solid, beautifully crafted conversation piece. 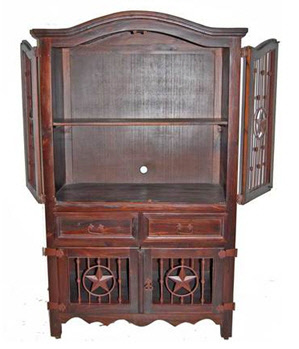 It includes top and bottom adjustable shelves. Includes garment rod.